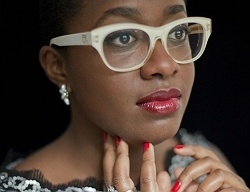 Subject: LongIsland.com - Your Name sent you Event details of "Cecile McLorin Salvant at WHBPAC"
A young jazz singer of radical talent, her velvety voice radiates the confidence and poise of a mature artist. The buzz began almost immediately after she walked away as the youngest winner of the prestigious Thelonious Monk International Jazz Competition in 2010. In no time, she was touring with Wynton Marsalis & the Jazz at Lincoln Center Orchestra while her first U.S. album,WomanChild, was nominated for a Grammy. An old soul, she makes classic songs sound utterly new.